NES Super Mario Bros. 2 (USA,PRG0) "warps" in 11:15.75 by Bisqwit. This is Bisqwit's 2nd attempt at this game, about 15 seconds faster than his previous attempt. This movie uses a variety of characters and not just Luigi. 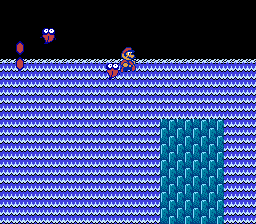 Like the previous, this one uses the warp in world 5 instead of world 4, and fails to use the shortcut in 1-1. This movie also makes an interesting choice of Mario for 5-1.